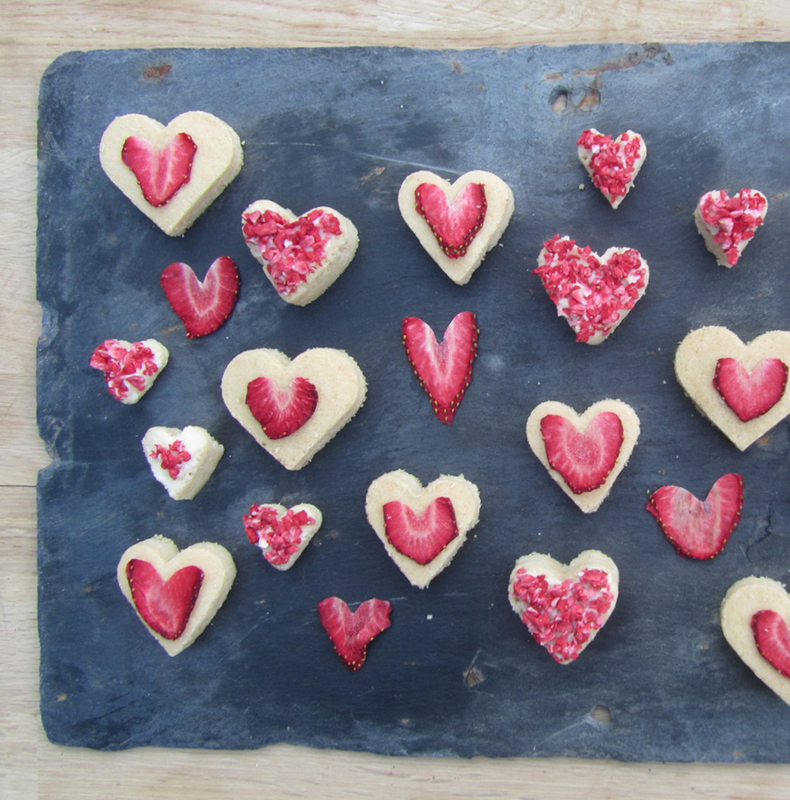 My Strawberry Shortbread Hearts come in all shapes and sizes of hearts with an affectionate amount of strawberry attention. 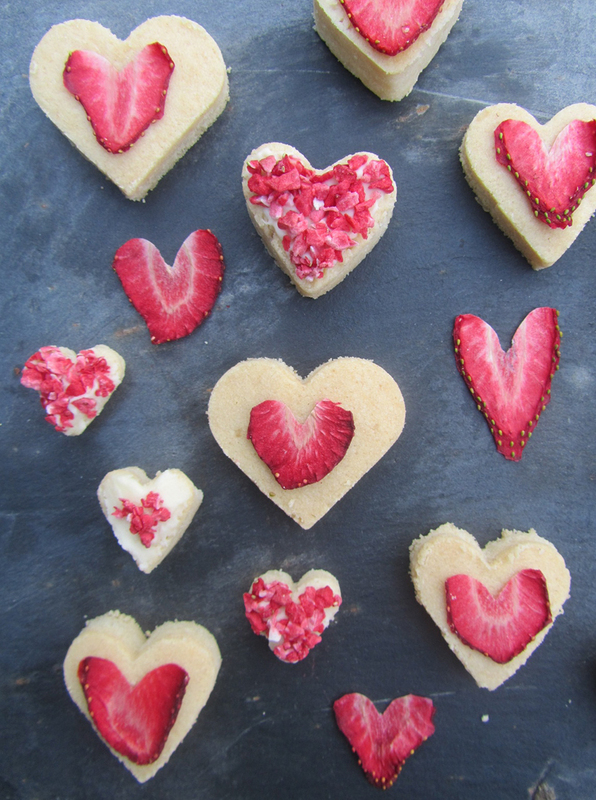 Vanilla shortbread dough acts as the biscuit base with white chocolate acting as the topping and edible glue to stick the strawberries too. The fruit itself is a combination of freeze dried strawberry pieces and strawberry slices which I dried and then cut into to create the shape of a heart. I’ve been loving experimenting with drying my own fruits recently to create bakes such as this and the scent the fruits produce while drying are better than any scented candle.